We continue our chat with Jim King, former NBA All-Star and Chicago Bull. 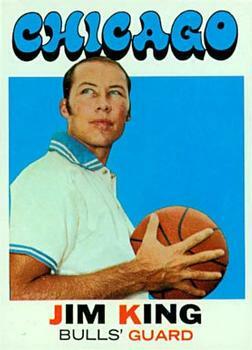 The Lakers Call / Jim is picked in the 2nd Round / The Lakers #1 Pick in 1963 / Lakers Coach Fred Schaus https://en.wikipedia.org/wiki/Fred_Schaus / Training Camp with the 1963 Los Angeles Lakers / “You know when you made this team, don’t you?” / Elgin Baylor https://www.youtube.com/watch?v=rjNS_oYE92E / https://en.wikipedia.org/wiki/Dick_Barnett – “Fallback Baby” / Why did the Celtics Always Win? / Attack, Attack, Attack!